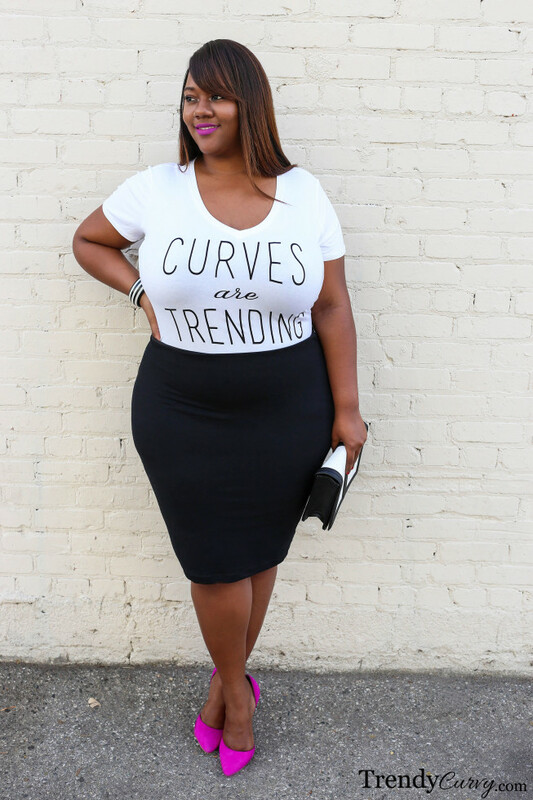 This post is dedicated to the power of curves. While my blog and all of my posts are focused on curvy fashion and proving that plus size women are just as beautiful/fashionable/trendy as anyone else, I think its also important to remind ourselves of the sheer power that we possess. Simply put, “curves are trending” as this shirt so perfectly displays. 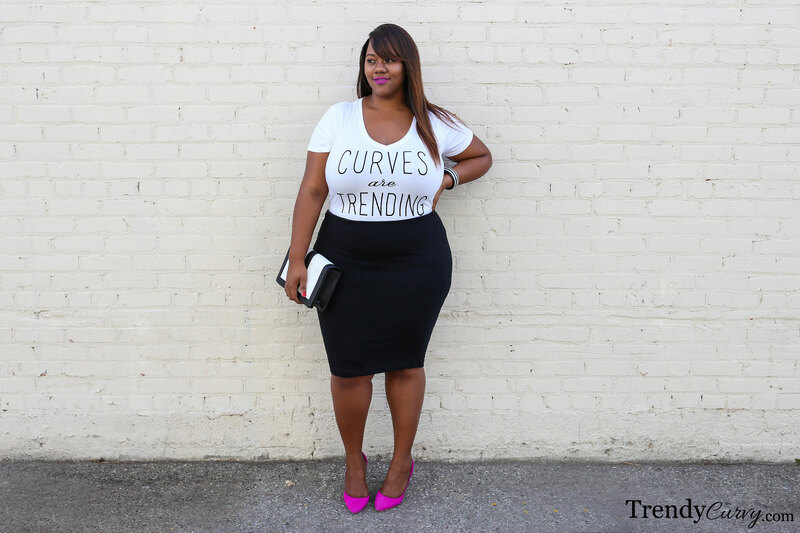 Notice that it does not say “Curves are a Trend”. 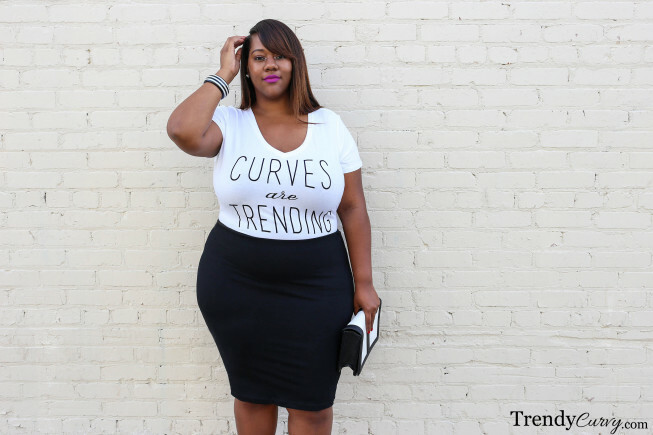 A trend would indicate that curves are a passing fad or something that comes and goes but that is certainly not the case. We all know the statistics. In 2012, an estimated 67% of American women were above a size 14 and I’m sure that percentage is even higher today. We also know that despite this fact, plus size women are one the most underrepresented demographics in the fashion industry. Yet in still, we are revolutionizing fashion because of our refusal to be ignored. It is because of our massive spending power, our open letters to brands and our undeniable influence that the industry has begun to take notice. And while we still have a long way to go, brands, media outlets and the like are realizing that leaving us out of the conversation is doing them as well as us a disservice. 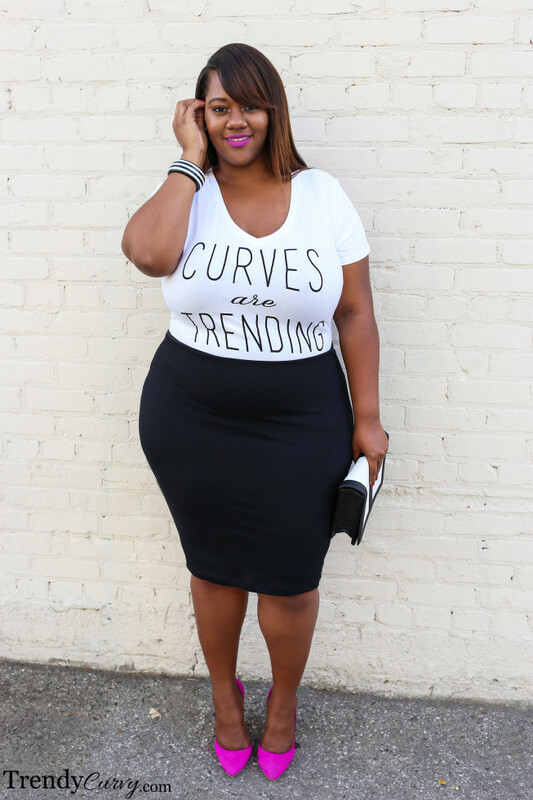 So in summary, keep those curves trending, keep the conversations going, keep slaying and keep demanding more. We are making an impact and we are here to stay. Always stunning! Love all your dresses..
Oh yes hunny, loving it. 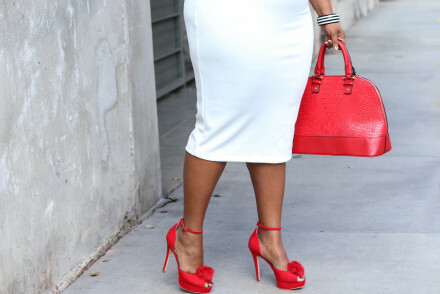 Beautiful and inspiring..and those shoesss! Yes,You’re right! W Kristine! !